Coach Meg is finishing up her Bachelor's degree in Exercise Science & is not stranger to hard work which makes her a great role model for on how to balance various responsibilities and still maintain her health with impeccable time management. In high school Meg was a three sport athlete playing basketball (her favorite), soccer, and softball. While in college she has continued playing basketball at the club level. 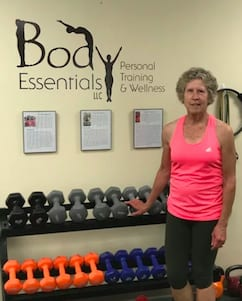 She has also been coaching basketball and started her fitness coaching career thru the Exercise & Leadership class where she trained clients with chronic health conditions such as diabetes and pre-hypertension in addition to supporting people post surgery and post stroke. When not in the classroom or coaching here, Meg loves hiking and basketball in addition to attending concerts in the summer. 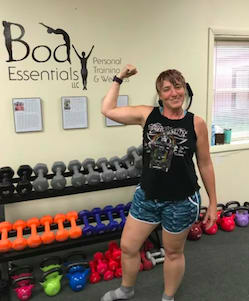 She has a strong passion for strength training and lives by the philosophy that you cannot out exercise a bad diet and that you will get out of your workout exactly what you put into it! Meg's passion for health and fitness has increased through her college education and as a result of the wide variety of fitness and health classes that she also took in High School. Her college course work has been much more practical in nature giving her the "how to" knowledge to begin her coaching career at such a young age. 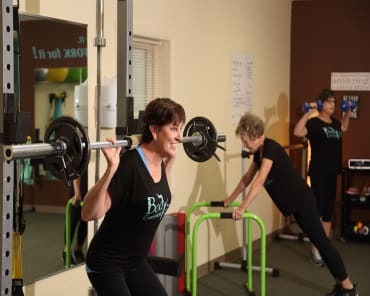 She loves to challenge herself and now others to see how much we can change our bodies under the influence of regular exercise and proper nutrition. Her endless energy and positive attitude keeps her clients inspired and driving to reach their goals. 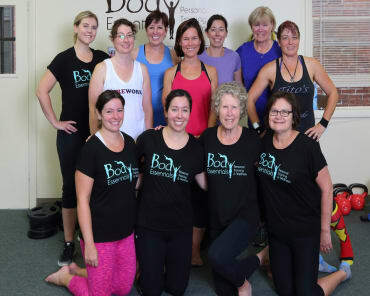 Since starting her work here at Body Essentials, Meg has found the non-judgement zone and individual attention to clients to stand out above a traditional gym. Personalization is the key when it comes to workouts in order to help clients set, work towards, and achieve and crush new goals. Just like an NBA player wouldn't train the same as an NFL player, we are not going to train and 84 year old the same as a 54 year old!